Exclusive to Swindon SEAT – You only pay what we pay – There’s no catch! Just bring your voucher! 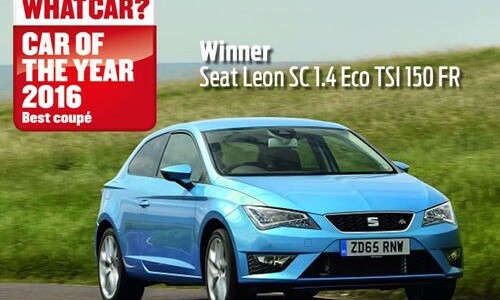 The SEAT Leon SC FR 1.4 EcoTSI 150 PS has been awarded Coupe Of The Year priced under £25k by What Car? This Weeks Festive Top SEAT Approved Quality Used Deal! This Weeks Top SEAT Approved Quality Used Deal!